A rocket fired from the Gaza Strip exploded in a parking lot in Netivot on Tuesday hours after the introduction of a truce between Israel and Palestinian terror groups. A man was lightly hurt by shrapnel and 20 people suffered from anxiety. Most of them were taken to the Soroka Medical Center in Beersheba. Rescue forces said it was a miracle there were no serious injuries. Damage was caused to several vehicles and an apartment building. The IDF Spokesperson's Unit said Israeli aircraft attacked two terror hubs in north Gaza overnight Wednesday in retaliation for the rocket fire. Palestinian sources in the coastal enclave said Israeli aircraft targeted a structure in Gaza City. There were no reports of injury, but the structure sustained heavy damage and a fire broke out at the site. A Home Front Command source said that studies in the south will be held as usual on Wednesday. 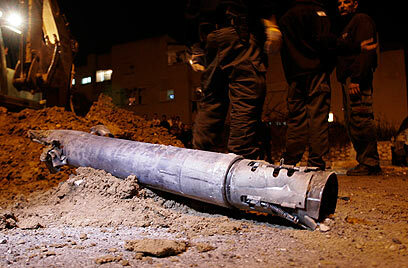 Earlier, a rocket exploded in an open area at the Hof Ashkelon Regional Council. No injuries or damage were reported. 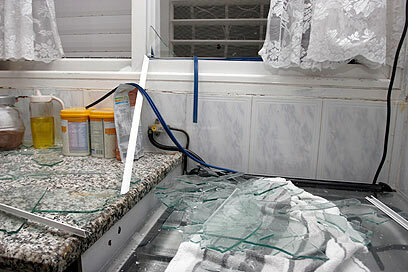 Around that time the Home Front Command announced a return to routine and the resumption of studies in all educational establishments in southern Israel.Shortly thereafter a mortar shell was fired at the Eshkol Regional Council and exploded in an open area near the border fence. No injuries or damage were reported. Also on Tuesday, Prime Minister Benjamin Netanyahu praised southern residents for their forbearance in the past four days. Speaking in Jerusalem, Netanyahu said: "The recent activity is a testimony to our offensive policy aiming to prevent Israeli citizens from being harmed. Our message is clear – calm begets calm. Anyone who breaks the calm or even tries to break the calm will be traced and targeted by our forces. "We have successfully hit the terror plotters, commanders and infrastructure as well as the many rockets aimed at our cities and communities." The prime minister praised the IDF, Shin Bet, Air Force and Iron Dome operators and combatants as well as southern council heads for their leadership. He saluted residents of the south for their forbearance in the face of terror. Meanwhile, Israel submitted a letter of complaint to UN Secretary-General Ban Ki-moon over the Security Council's failure to comment on the firing of rockets at Israel's south. Israel's Ambassador to the UN Ron Prosor accused the UN of "zero words of condemnation" despite the firing of more than 250 rockets at Israel since Friday. "The lives of 1,000,000 Israeli civilians are paralyzed. 200,000 Israeli children are out of school," the letter stated. "Yet, the Security Council has uttered zero words of condemnation of these attacks. There is something wrong with this equation. " 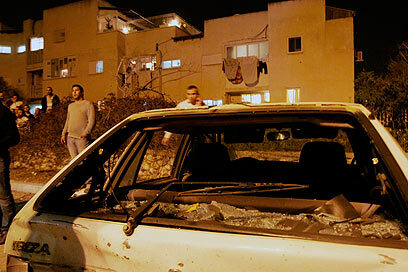 See all talkbacks "Rocket hits Netivot parking lot; IDF strikes in Gaza"